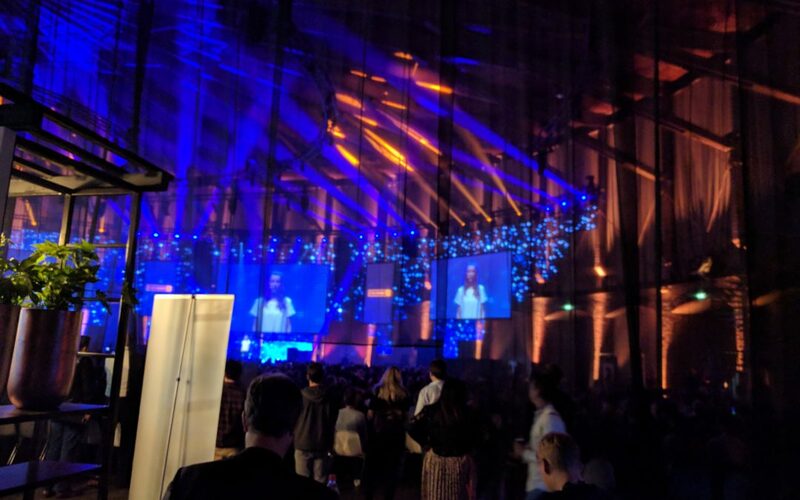 World Summit AI – The Show Begins! I was able to capture this photo of the opening of the show this morning. It was quite the big production, and the conference appears to be about full! The program today should be exciting, but I need to head out to prepare for the panel discussion and workshop with the XPRIZE team this afternoon.